When Jonathan Demme passed away last week, filmmaker Stephen Cone eulogized him on Instagram by saying he “followed his enthusiasm wherever it took him.” The same thing could be said about Nanfu Wang. 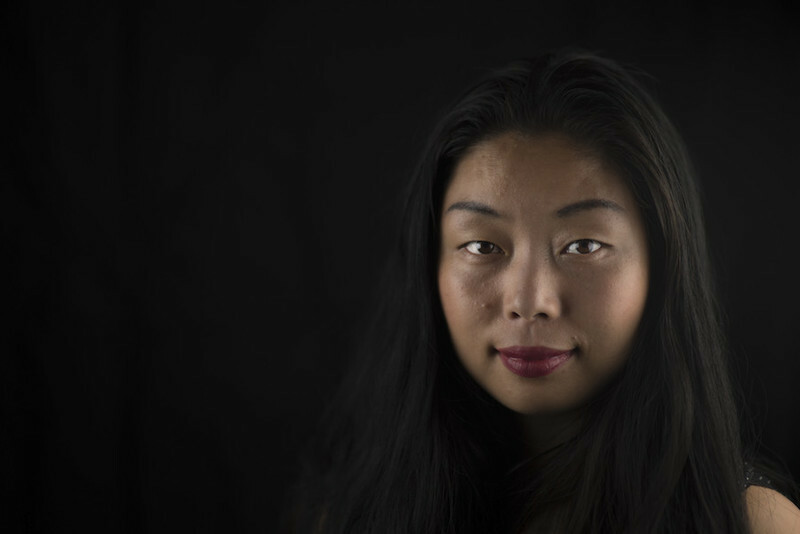 After growing up in China, she came to the U.S. in 2011, and found herself fascinated by Dylan Olsen, a young drifter with a romantic view of his chosen life on the streets. She felt compelled to follow him with her camera while acquiring his lifestyle for several days, sleeping in parks only to be woken up by sprinkler systems or prowling police cars. Eventually, she set the project aside in order to helm her first feature, “Hooligan Sparrow,” which premiered at Sundance last year and was among the greatest films I saw in 2016. 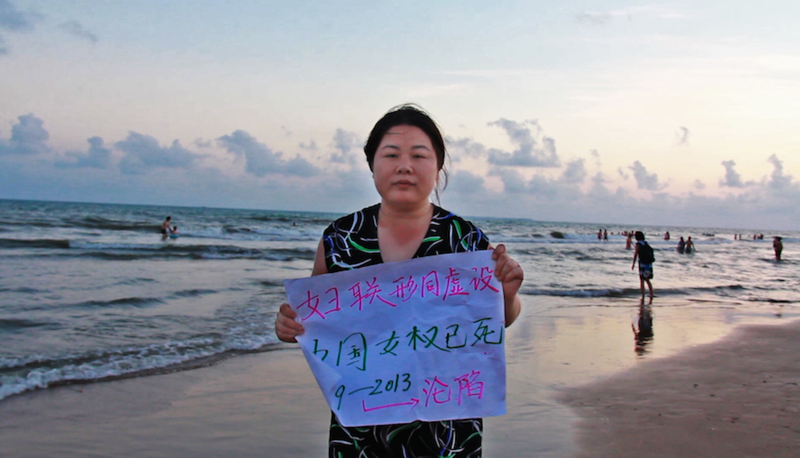 In my four-star review, I wrote that it was miraculous that the film existed at all, “since the footage was constantly in danger of being detained during production, requiring it to eventually be smuggled out of the country.” The film centered on Ye Haiyan, a courageous women’s rights activist who protested against China’s tyrannical government, and was forced to flee across the country with her daughter. Wang risked her own life in order to capture their story, and her footage is as pulse-pounding as any Hollywood thriller. After earning great acclaim for the film, Wang returned to her initial project about Olsen, exploring how her perception of his behavior shifted as she learned more about his troubled mental state. The completed film, “I Am Another You,” is easily one of the best pictures I’ve seen at Hot Docs 2017, where it has won over audiences after collecting two major prizes at SXSW. Wang spoke with RogerEbert.com about the roots of her bravery, the therapy provided by her camera and the myth of American freedom. As a child interested in storytelling, did you find yourself gravitating toward mysteries? That makes complete sense since there is a great deal of suspense in both of your pictures, which are structured like mysteries. That’s nice to hear because I am still trying to understand my own style. During filming, it never occurred to me that I was going to be a part of either film. I was always trying to cut my voice out by having subjects include my question in their answers. It was when I started editing “Hooligan Sparrow” that I realized I had to be in the film. But in the case of “I Am Another You,” it was a story about this guy and his family in America. I am Chinese, and the story had nothing to do with me, so I didn’t realize that I needed to be in the film until halfway through editing. People have asked me, “Is it your style to include yourself as a character in your films?” I’m still trying to figure that out. Both of the films began with an idea that evolved into something completely different, and I somehow became very immersed in the stories. That degree of immersion may be related to my personality and my tendency to be very curious and adventurous. I allow the films to take me deep into the subjects’ lives. How challenging has it been for you to balance your own story with that of your subjects in the editing room? For “Hooligan Sparrow,” it was very challenging because I never thought that I was going to be in the film. Since I was a teenager, I’ve felt self-conscious about my voice. There was a time in the classroom when a teacher commented on my voice and asked if I was sick. After that, people would constantly ask me, “Do you have a cold?” I started hating my voice and didn’t want to speak in front of strangers. It took me many years to be okay with my voice and not be ashamed of it, but even then, I was very resistant to the idea of doing voice-over. Every time I stepped into the recording booth, I would break down. When I hear my voice, it’s so different from what I think it sounds like. Then I had to figure out how much of myself to include in the film, and naturally, I wanted to be in it as little as possible. People who saw the rough cuts and gave me feedback always said that they wanted to see more of me in the film, and I would hate that. After “Hooligan Sparrow,” I became more comfortable with having myself on camera. When I made “I Am Another You,” I had a better sense of what my function was within the context of the film. One of my criteria that I use is if an event in the film touches me and I have something that I need to say about it, then that’s a good place for me to include myself. If there is information that is not covered in the footage, then that might be a good place for me to have my voice heard as well. 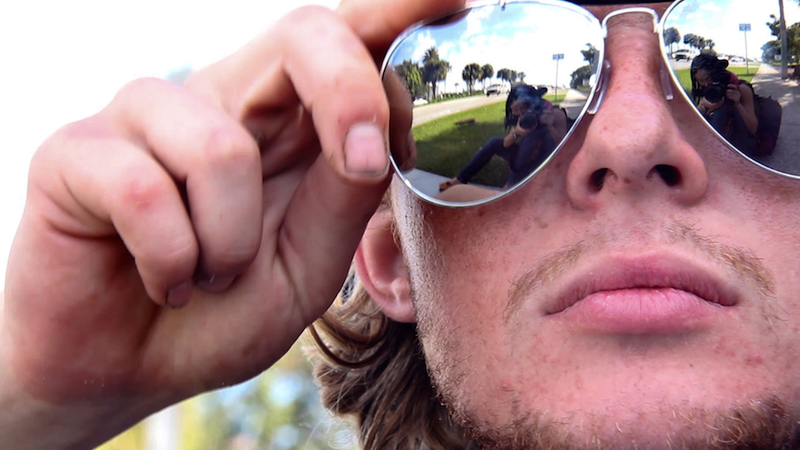 Dylan’s father, John Olsen, films himself as a mode of self-therapy during his work as a police detective. Do you find a similarly therapeutic comfort in keeping the camera on, especially during intense moments such as when you are running from the police in “Hooligan Sparrow”? Definitely. I kept a video diary while making “Hooligan Sparrow,” and some of the entries ended up in the film. They were my own therapy, and I believe that’s true for most people who have a video diary. As John mentioned, he felt that he had nobody to talk to. If there were things in his investigations that he couldn’t reveal to other people, or if he was going through things that were too personal for others to understand, he would talk to the camera about them. There were many times I felt that way while making “Hooligan Sparrow.” I could not talk to my family or friends about what I was doing. I couldn’t use the phone because we all felt that our phones were monitored, so there was no way to reveal any details of what was going on to people outside of our space. I became very close with the activists after staying with them day and night, but they are different from me in that they are all seasoned. A lot of the things that we experienced are things that they have dealt with many times during the past decade. There were things that really troubled me, shocked me, saddened me—but to them, they had gotten used to it all, so they didn’t feel the same level of outrage. They’d point out seemingly ordinary people at their protests, and tell me that they were paid by the government to be there. That’s when I felt that I needed to talk. I needed to let go of all my emotions and questions. Otherwise I couldn’t sleep. One thing I love about both films is how they return to events we’ve previously seen while altering our perception of them, thus involving us in your own discoveries. How conscious is that approach from the outset? In both cases, it’s something that occurred while I was making them. The bystander at the protest who turns out to be a father of one of the abused children in “Hooligan Sparrow” was a discovery I made while editing. When I initially watched the protest footage, I focused on the secret police officer in the foreground, while kind of ignoring the background. After watching it a thousand times, I noticed the bystander and thought that he looked familiar. That was more of a coincidence. I really value authenticity in film. What you see in my films is the truth. If I don’t have the footage of something, then I let the audience know. I don’t try to fake it. That’s why I’m open with the audience about how I discover certain things. When I began making “I Am Another You,” I was naive about my subject to the point where I couldn’t see him as an alcoholic or a person with mental issues. I couldn’t see all of those signs, whereas a lot of people spot them the first time they watch the footage. Even when I told people about Dylan, they’d ask, “Is he mentally ill? Is he a drug addict?” These are all stereotypes, but I later wondered why I had never considered these questions. I came to realize that when I first embarked on the project, I only saw the things that I wanted to see, and I think we all do that to a degree. We choose what we believe in. When I looked at Dylan, I saw an idealistic representation of American freedom that I had always longed for since I was in China. People in China look up to America as the land of the free, and many of them would joke about how even homeless people are happy in America. They believed some Americans intentionally chose to be homeless, which is unthinkable in China. Dylan resembled a real-life version of the literary figures that I read about in On the Road. I didn’t see the other side of him. That made the editing process a struggle. How do I portray something that everyone else notices even though it took me so long to see it? Is that what motivated the film’s three-chapter structure? The structure was a natural choice because the film was shot over the course of several years. Between each chapter, there was a large gap. There were times I wasn’t even pursuing the story because I didn’t think that it was going to be a film. I like how you contextualize your own perspective by citing how China attempts to silence activists by deeming them mentally ill. Even today, China’s government creates narratives against a lot of activists. The government controls the media, so in a lot of coverage, the activists are depicted as mentally ill, and in this way, they really discredit them. Ordinary people read about it and then the next time they see protestors, they don’t bother listening to them. Who else would be standing on the streets yelling? When I was making “Hooligan Sparrow,” I met with a lot of lawyers, and some of them were working with people who were institutionalized for mental illness, even though they weren’t ill at all. The lawyers told me that an alarming percentage of the people at mental hospitals in China are actually dissidents. Were you aware of Alison Klayman’s doc, “Ai Weiwei: Never Sorry,” before you started developing “Hooligan Sparrow”? You find such ingenious ways of building tension in your movies. I was struck by the scene in “Hooligan Sparrow” where we hear the audio of Ye Haiyan being beaten by police in her home prior to her arrest, as subtitles materialize over the image of water rushing past the camera. It’s so simple and yet so impactful. I remember the day she was arrested. I was on a boat heading to meet up with her. We had been together at the protest, and then she left a day early while I stayed with a lawyer. We were going to meet at her home, and it was on the boat that I received the news that she was arrested. It’s hard to describe the complex feelings that I had at that moment. I was so shocked because nobody had expected it would happen. If she was going to be arrested, we thought it would happen during the protest, which was thousands of miles away from her home. Clearly there was an order that came from high above to have her arrested at her home, and the charges that they filed against her weren’t at all related to the protests. It was a complete set-up. It made me angry, and at the same time, as a filmmaker, I was worried by the fact that I didn’t have any images or audio of this important turning point in the story. I realized that I had to construct this event using any material that I could find. I considered utilizing a “Rashomon”-type series of audio confessions from people, starting with Ye Haiyan and her daughter, about what had happened. As for visuals, I searched for images that would best represent my feelings in the moment. I always want the audience to share in the feelings I’m having while on the ground. I looked down at the water and saw a wave, which felt like a perfect metaphor for the complex emotions in my heart. It conveyed the outrage and the sadness that I was feeling, so I filmed it. Then I found the audio clip of Ye Haiyan’s arrest from a reporter, and that’s what we ended up using in the final cut. How did you go about visualizing Dylan’s inner psyche in “I Am Another You”? I felt like I had so little knowledge about mental illness, and that I needed to understand what Dylan was experiencing. When he would tell me about the voices and hallucinations, his description wasn’t detailed enough for me to imagine them. So he would show me YouTube clips about the symptoms of schizophrenia, and he’d say, “This is how I feel.” I was surprised and I asked him if there was any way he could visualize what was going on in his head. He’s a very creative person, and he came up with the idea for the scene that is in the film. He walked into the library barefoot, and actually got permission to film in one of their empty rooms. They were very cooperative in helping him to arrange it in the way that he wanted it to be. I was impressed by his communication skills. Your dedication to following literally in your subjects’ footsteps is similar to that of an investigative journalist. Where do you feel your bravery comes from? I think it stems from the fact that I had a pretty difficult childhood. I was born in a village to a poor family, so I understood poverty from a very young age. My father passed away when I was 12, and at the time, I didn’t really understand what death meant. For a long time, I didn’t accept that he was dead, and I thought that I would bump into him in the street somewhere. I’d ask him where he had gone, and we’d be happily reunited. It wasn’t until I was 14 or 15 that I finally understood what death meant. My father died when he was 34, and for some reason, I was convinced that that’s just what happens when you get to 34, and that it would happen to myself as well. All of a sudden, my life had a deadline. When I was 16, my mom said that she couldn’t afford having me in high school anymore because the family finances were very bad, and she hadn’t dated anybody else. She felt that since my younger sibling was a boy, he needed to go to high school and college. Since I was a girl, she thought that schooling was less important for me and that I should learn some skills to support the family. So I started working when I was 16, and it was a period where I was unable to find any hope in life, especially when I saw all my friends going to school. I felt stuck and worried that I would never be able to see the world. It was very difficult to find a way to go back to school. In China, there is a self-taught system. They have a list of books, and if you read them by yourself, you can take an exam and earn a certificate that is the equivalent of a bachelor’s degree. That certificate usually isn’t recognized by employers, but I was able to use mine to apply to graduate school in 2007. I got accepted with a full scholarship to study English literature, but even at that point, I still felt like I would die at 34. That thought in my head somehow made me fearless. I was unafraid of death, so there wasn’t much that would scare me. I didn’t consider myself brave when I made “Hooligan Sparrow,” until a number of people told me that they never would’ve been able to do what I did. What has it been like closely collaborating with your husband, Michael Shade? We have the same skill sets, since we both learned filming and editing in graduate school at NYU. We were dating when we were still students, and we were both idealistic, dreaming of traveling the world while making documentaries together. In the end, I am the only person from my whole class that is still in independent filmmaking, because it is so hard. My husband is now working at Vice full-time, and he’s had a few full-time jobs since graduation. Even though I had a couple jobs while working on “Hooligan Sparrow,” I eventually realized that I wanted to make films full-time, and my husband’s job made our ability to collaborate a little more difficult. Then when he saw all the difficulties I was having in making my films, he was like, “I don’t want to do what you’re doing anymore.” [laughs] He performed many different roles on “Hooligan Sparrow” and “I Am Another You” partly out of necessity because there was no budget. If I needed another cameraperson, I couldn’t hire anybody. He’d be the cameraperson as well as the driver and the guy who carries the bags. Every night when he came back from his own work, I would still be in the editing room at home. He’d look at the cut and let me know whether or not it was working. What impact do you believe Trump’s presidency will have on independent filmmakers? I think that it will create more art. The most repressed countries often produce some of the most amazing films. I think that it will push people to find a way to express their ideas in new ways. I’m currently working on two projects, and both are in production. One is about the human rights situation in Cuba, and the other one is set in China. I should say less about that one because I feel like the government is still monitoring what I do. When I interviewed Rokhsareh Ghaem Maghami, director of the documentary “Sonita” [about Afghan rapper Sonita Alizadeh], she had similarly hopeful views about how artists are being empowered by the current political situation. As a matter of fact, Ye Haiyan’s daughter is in the U.S. now and is enrolled at the same school as Sonita. The head of the school has a big heart, and he gave her a scholarship. She met Sonita and they’ve become friends.